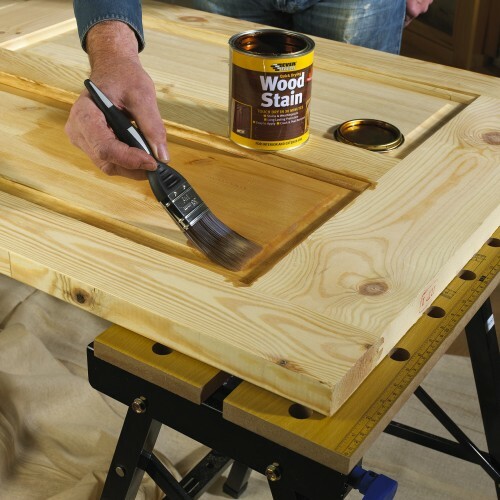 Everbuild Quick Drying Wood Stain is a professional, low solvent wood stain that enhances the natural qualities of wood, and provides long lasting protection. The weatherproof protection provided also gives a crack and peel resistant finish and excellent resistance to ultra violet light degredation. Ideal for use on smooth planed exterior and interior timber, such as doors, window frames, architectual timbers, conservatories, cladding & garden furniture etc. Under normal weathering conditions it can be expected to provide protection for up to 5 years. Available in Antique Pine, Dark Oak, Mahogany, Natural Oak, Rosewood and Walnut in 750ml or 2.5L sizes.